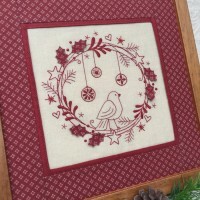 – Add a touch of festive embroidery to your home this Christmas with this small table mat. 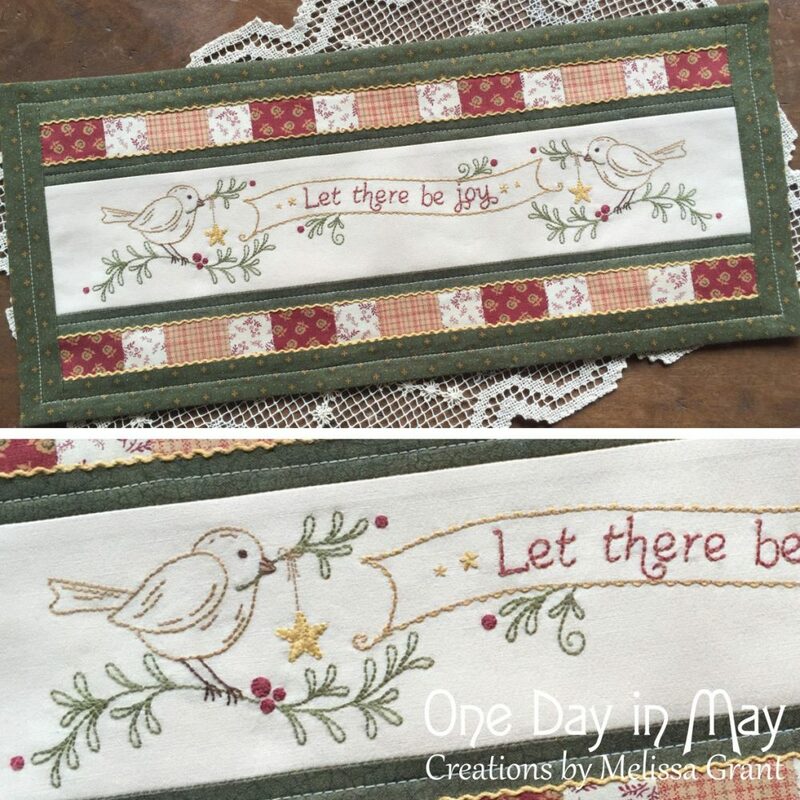 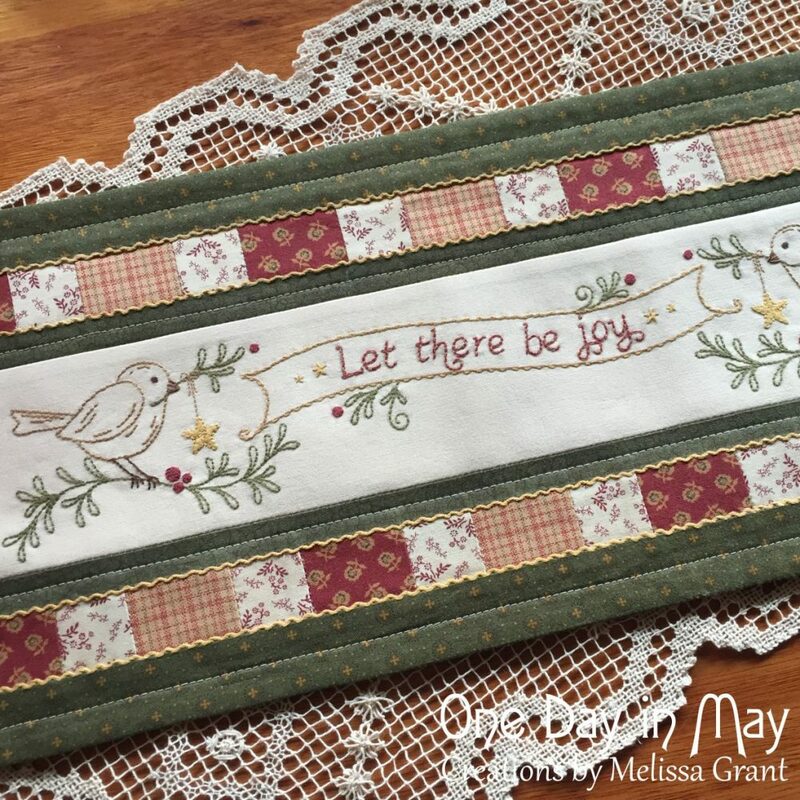 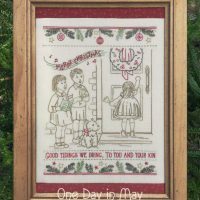 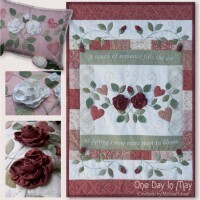 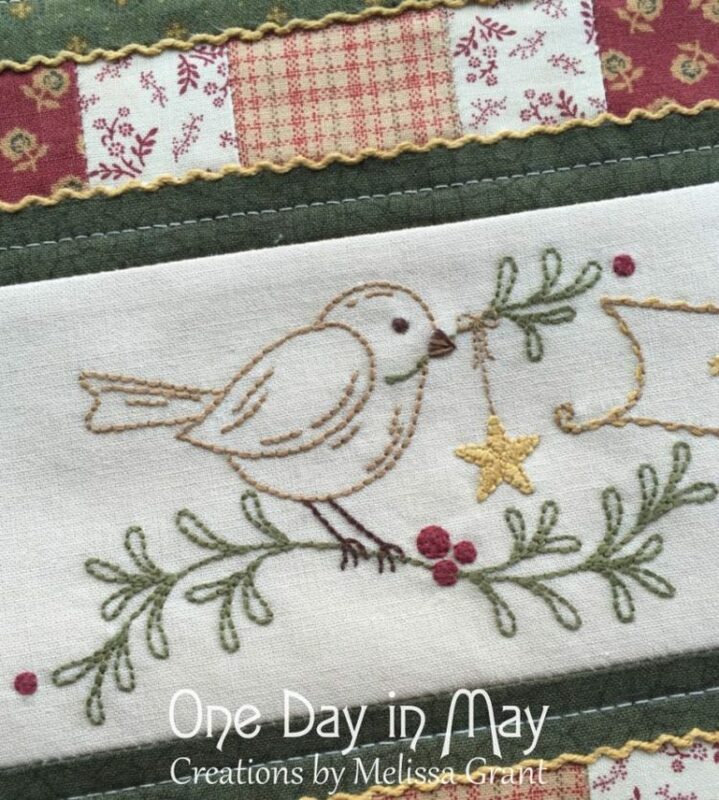 Patchwork rows trimmed with threaded back-stitch border an embroidered pair of sweet wrens and banner bearing a simple Christmas wish. 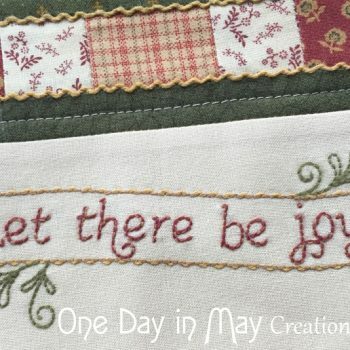 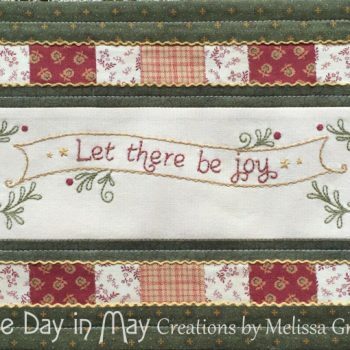 – “Let There be Joy” explores the use of common embroidery stitches to create a variety of effects. 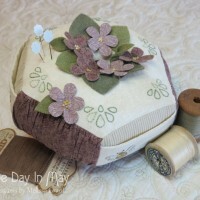 Combine textures and threads for a variegated look. 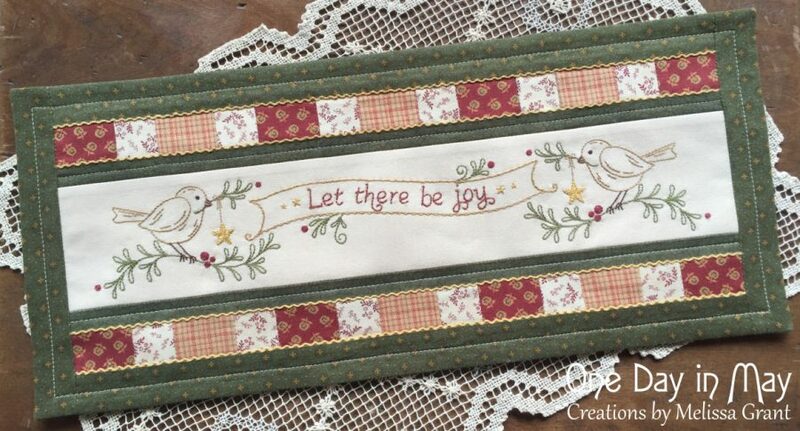 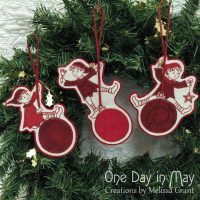 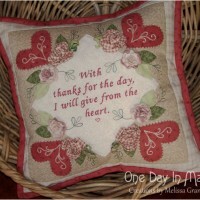 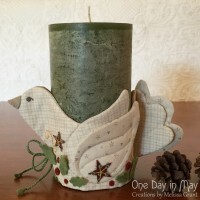 Fill circles without satin-stitch. 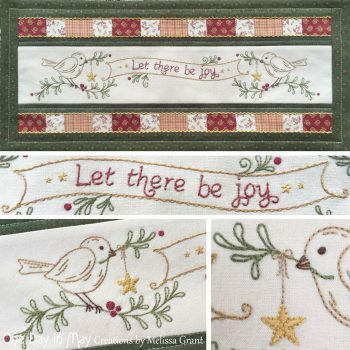 Combine stitches for a pretty banner edge and add threaded backstitch to your patchwork… a simple stitch that gives the effect of small ric-rac. 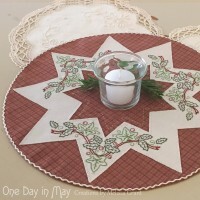 – Add a touch of festive embroidery to your home with this small Christmas table mat. 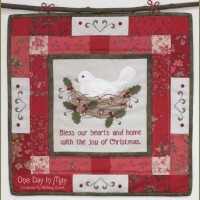 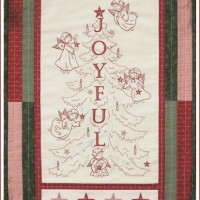 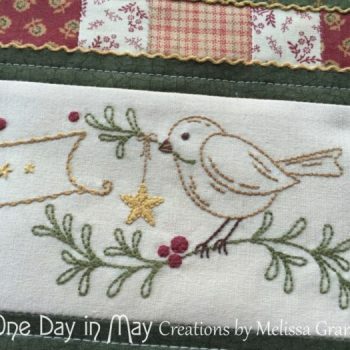 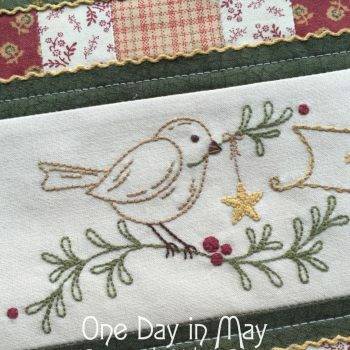 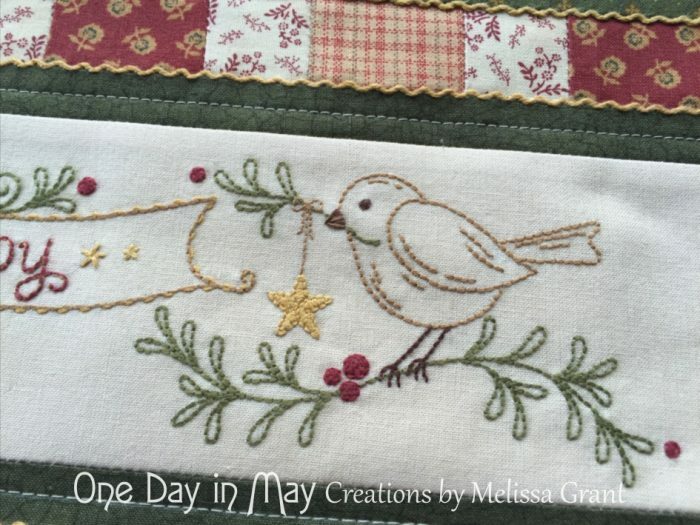 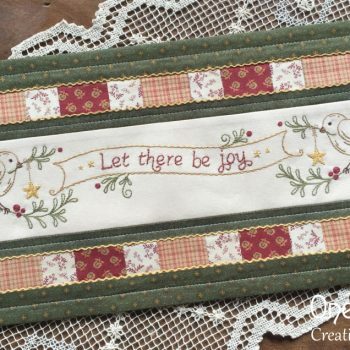 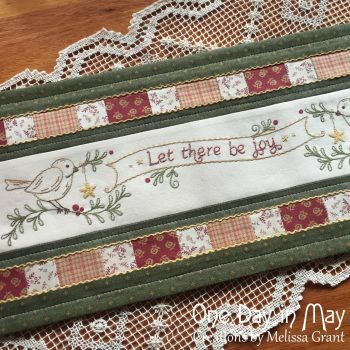 Patchwork rows trimmed with threaded back-stitch border an embroidered pair of sweet wrens and banner bearing a simple Christmas wish.